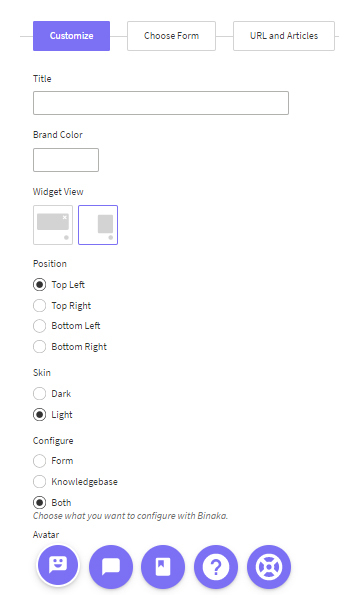 Enter the Title, select Brand Color, select Widget View, choose Position, Skin for displaying Binaka App and select Form & Knowledgebase which you want to configure with Binaka. The owner can also select the Avatar as per their choice. Note: The Brand Color will be the color of your Binaka App and by the help of Skin, you can choose to display the icon on the Binaka App as light or dark. After the form creation, you can select the from the drop-down. 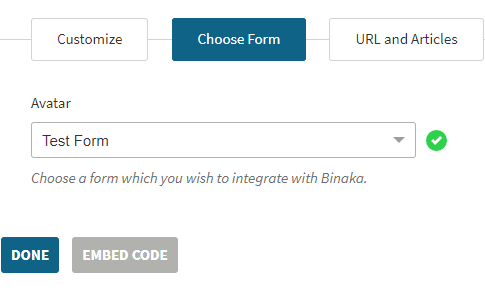 The selected form will appear on the Binaka App when any user will use it as a Contact Form. 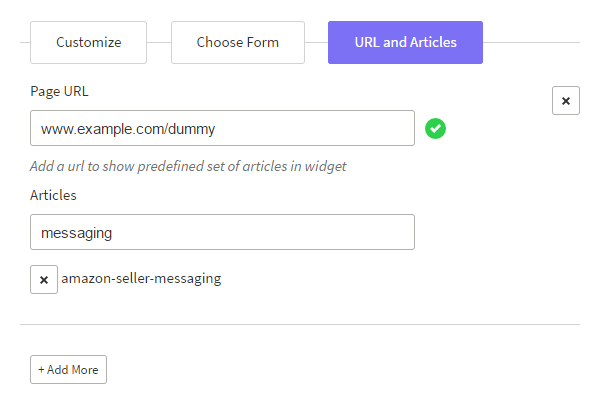 Here, the owner can enter a Page URL on which they want to implement the Binaka App and they can also add specific Articles for that particular URL. Suppose you have entered as many page URL as www.example.com/dummy and added few articles. 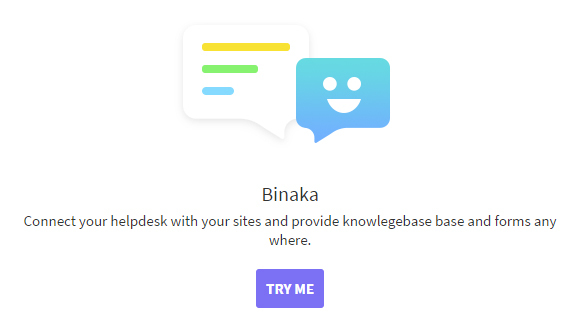 Now, the Binaka App will work on all the pages of this URL (www.example.com) but when any user will visit this specific page (www.example.com/dummy) then all the added articles will pop-up for the users.